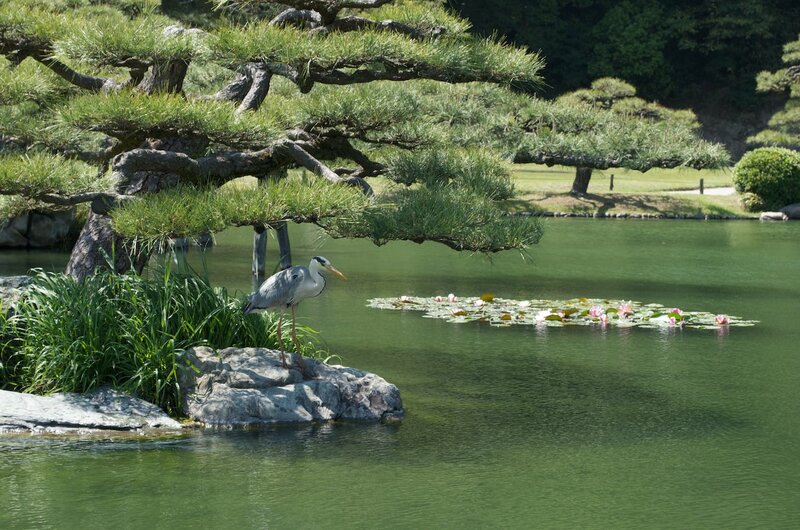 Ritsurin Garden (栗林公園) is one of the most historic and beautiful gardens in Japan. It is tucked up against Mt. 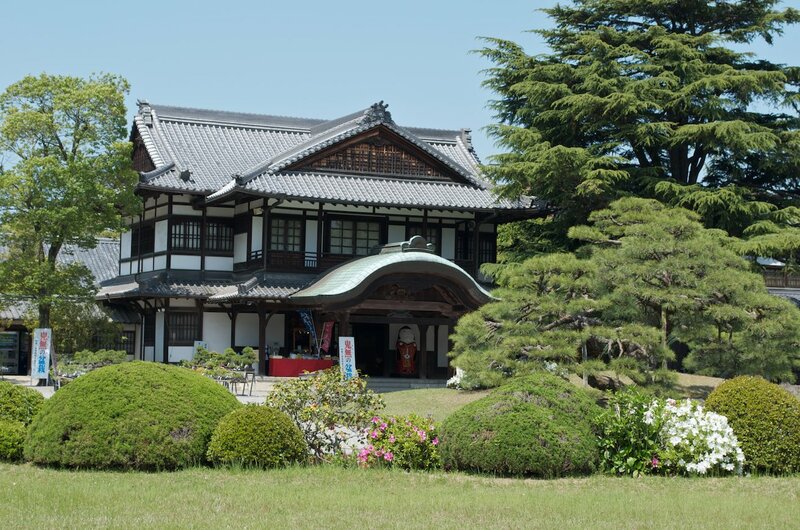 Shuin in northeastern Shikoku in Takamatsu City. The use of the land as a park for the local aristocracy is said to go all the way back to the 16th century with the first major improvements to the natural landscape beginning in 1625. 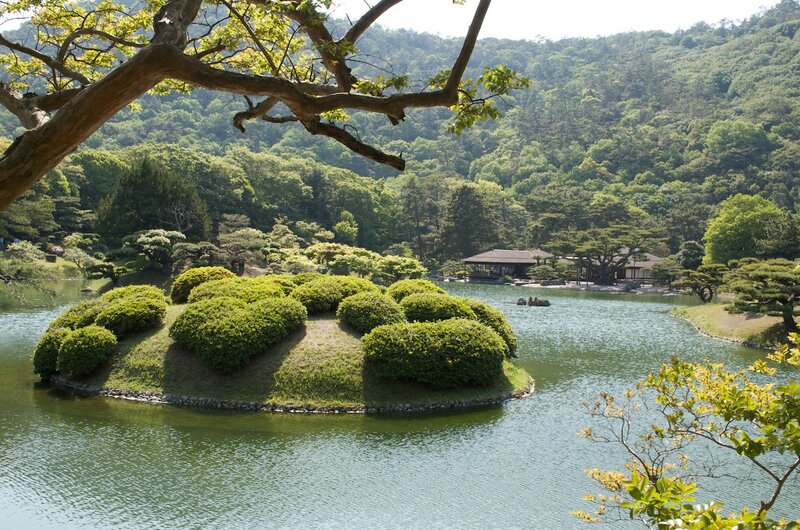 The relative stability of the ruling dynasty and a strong local economy as the closest port to the main island, Honshu, enabled the creation of one of Japan's greatest gardens. The modern extants of the garden contains the gardens created be the fedual lords in the south and the land where their manors stood in the center and north. 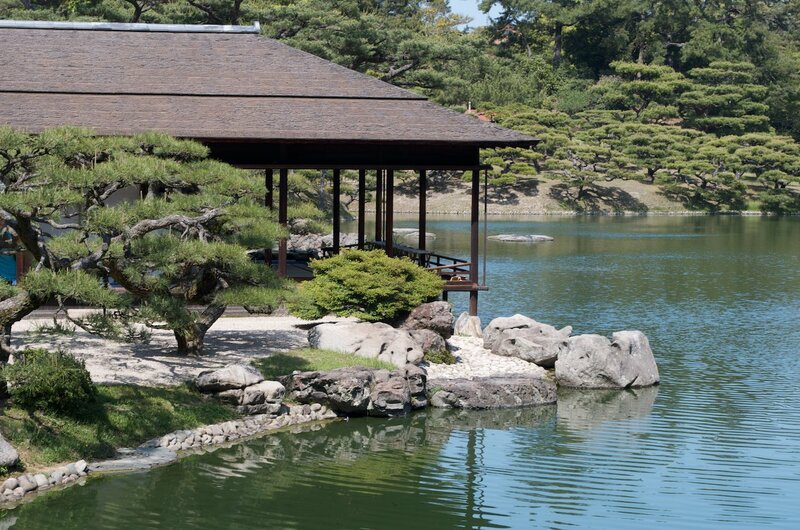 Since Japanese gardens were essentially built with the intention of demonstrating a lord's disposable wealth, all are located in dense urban areas where space has always been at a permium. 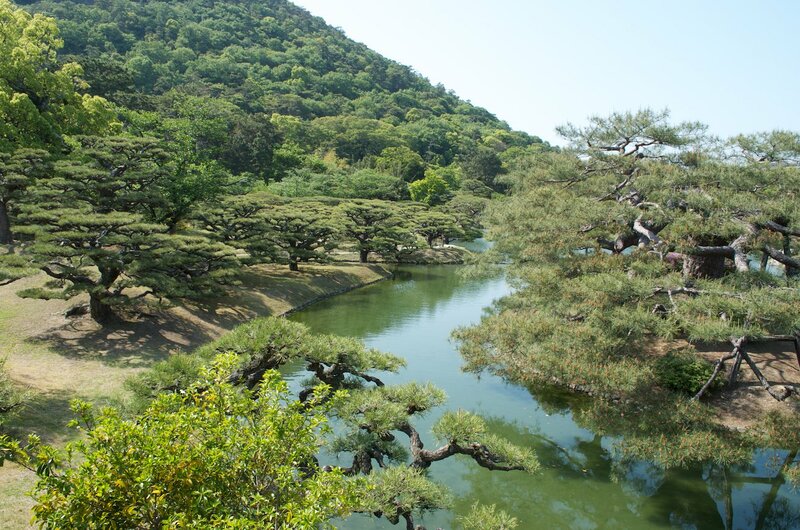 Ritsurin Garden has the uncommon feature of facing an untouched mountain on one side and relatively short buildings on the other sides. Takamatsu City apparently isn't as space starved as most other cities in Japan. The park is split roughly into a more modern northern section to the right of the main entrance and the more scenic southern portion. The northern sections were used for duck hunting before being developed into a garden in the 20th century. The gardens will take considerable time to completely cover and the recommended sample courses skip parts of it. Most people simply do a clock-wise circuit through the southern part. The garden has exemplary English signage. 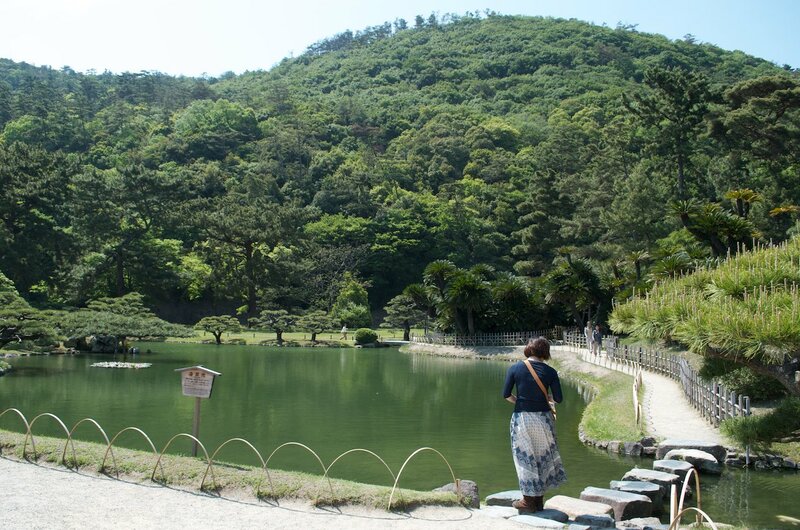 In total, the garden has 6 ponds and 13 hillocks. 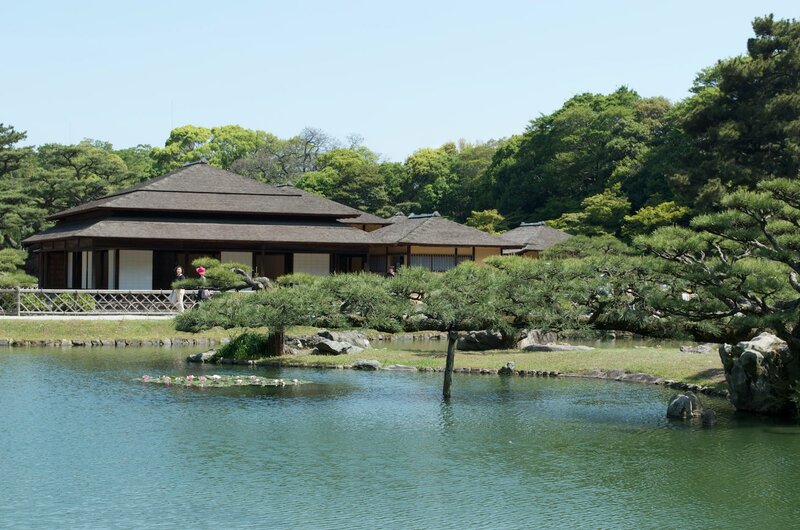 For an additional fee (610 yen), visitors can board a small boat and take a cruise around one of the southern ponds for 30 minutes. There are light snacks and water available in the southern area and near the entrance. 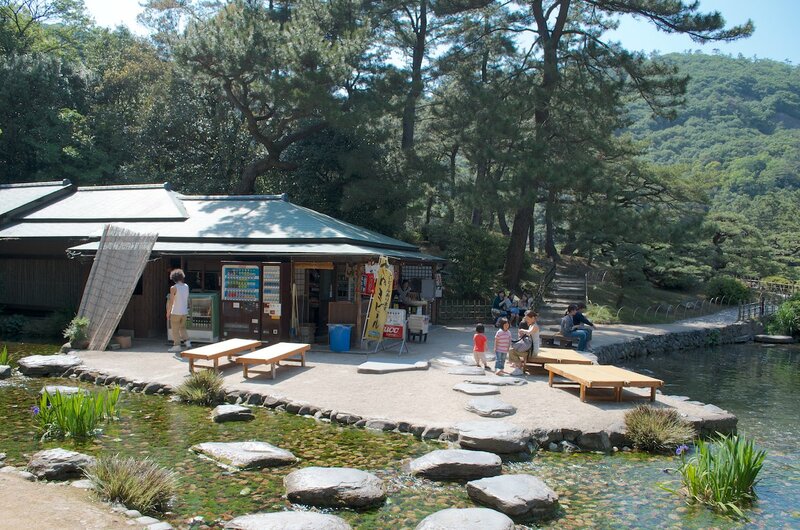 Also for an additional fee, the Japanese tea ceremony can be experienced in the tea house as well. 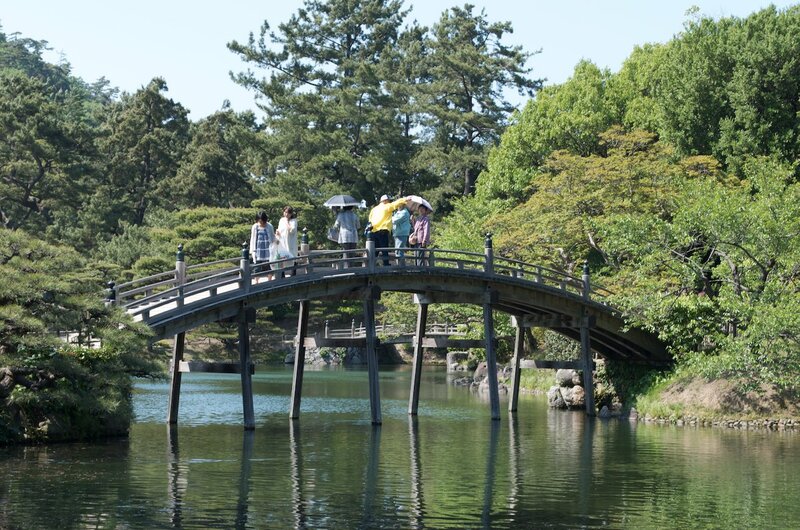 Ritsurin Garden has much to recommend it besides a skyline uncluttered with modern paraphernalia, but it is made all better because of it. 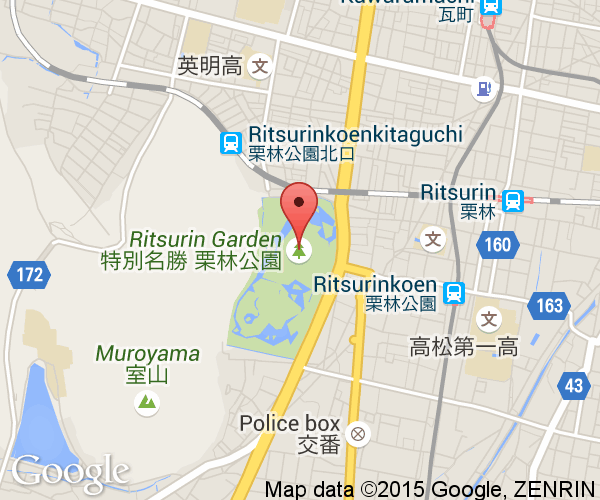 While many Japanese gardens are cramped for space, Ritsurin has plenty of it. This allows for wide open spaces and routes that are actually a good workout to complete. 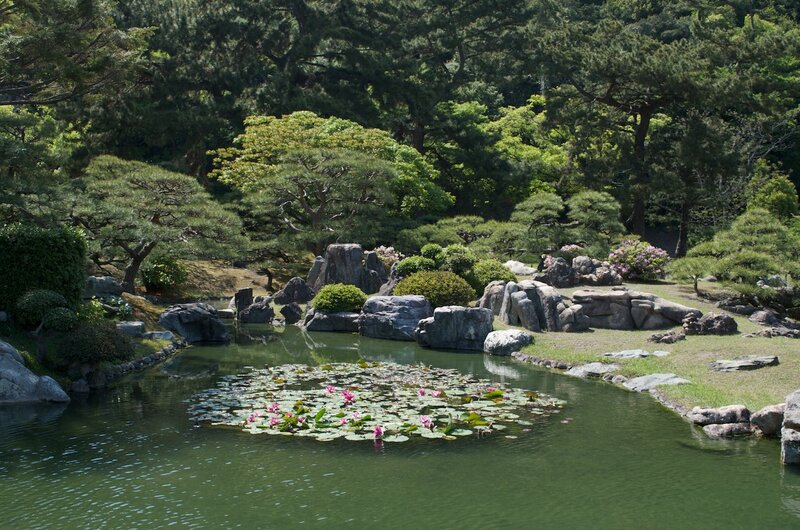 Overall, it is a highly recommended garden to visit. 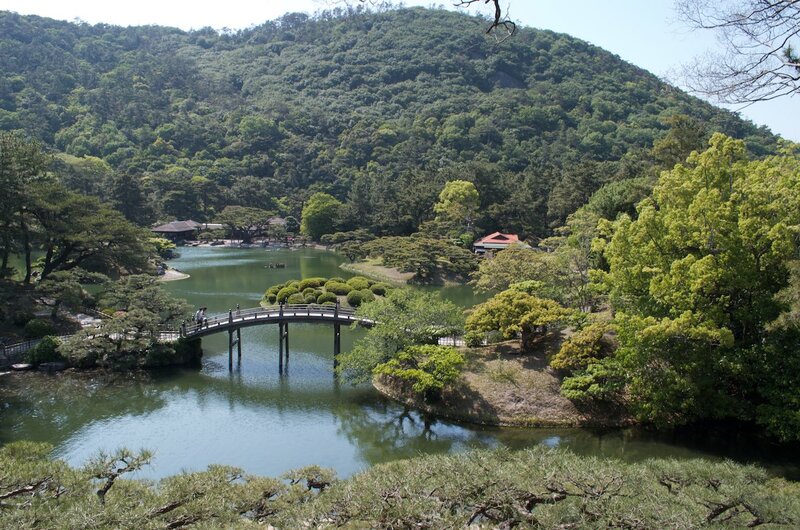 Ritsurin Garden is located in Takamastu City, Kagawa Prefecture. It is south of JR Takamatsu Station. It can be reached by light train on the Kotohira Line run by Kotoden. 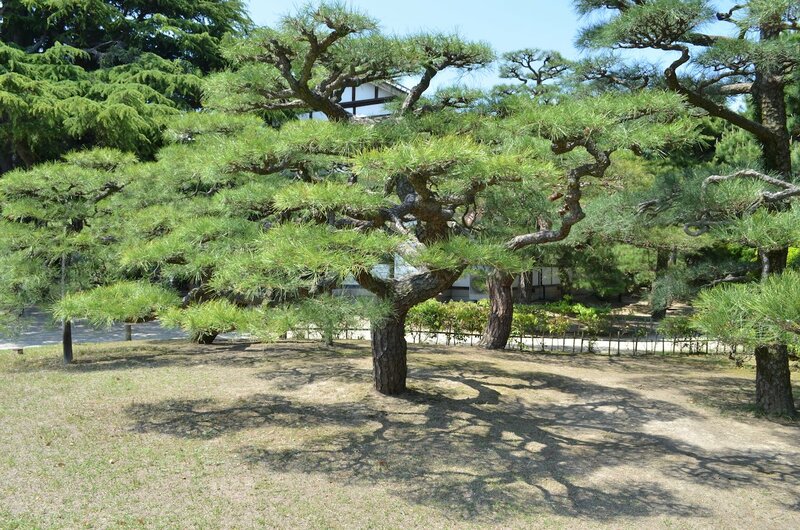 The Kotoku Line run by JR Shikoku also goes by the garden. Both routes take about 15 minutes total to reach the entrance. Note: The opening and closing hours change slightly each month to match the changing times of sunrise and sunset. As the author is too lazy, the hours on this page are just generally when it is open. Just be aware that the garden will open sooner in the summer and close a bit sooner in winter.